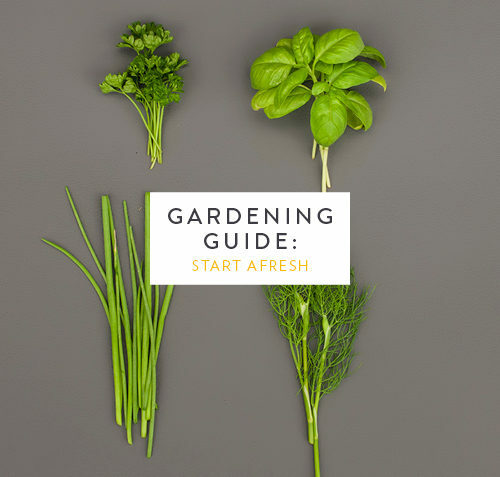 It’s time to get back in the garden and exercise your green fingers. This season’s challenge is to plan and support a beautiful garden that thrives on a limited water supply. Sow the following herbs in well-draining soil in containers: basil, chives, dill, nasturtiums, parsley and watercress. Keep the soil moist (with some grey water, of course) until the first shoots appear and pinch out new growth on the seedlings to encourage them to become compact and bushy. The more you trim them, the more flavourful they become, too. Place them in a spot that receives at least 5-6 hours of sun. Feed lemon trees with 3:1:5 or 8:1:5 (organic feeding) and water them well (use the water collected from your two-minute showers). Surround the trees with a thick layer of organic mulch. Lightly prune roses to encourage new flowers. Pull up any sucker shoots (light green, thornless shoots) growing from the base of the bushes. Remove some of the smaller flowerheads on dahlias to encourage development of bigger blooms (we’re talking dinner-plate size!). Stake tall-growing perennials and trees to protect them against the infamous Cape Doctor winds. Spray driveways and paving with a non-selective weed killer like Clear Pave. Cabbage is a vegetable patch staple that can be grown at different times of the year, depending on the variety. It’s low maintenance, with a harvesting time of 11–15 weeks, and is a go-to addition for plenty of summer meals: salads, slaws, stir fries – you name it. Chives can add that wonderfully subtle onion flavour to any dish, and the bonus is that they have beautiful flowers! They are hardy, drought-tolerant, and one of the easiest herbs to grow. Ericas are some of the prettiest Cape fynbos plants. You’ll recognise them from hiking trails and in national parks, and they make a wonderful indigenous addition to Western Cape gardens. They come in a variety of colours and their beautiful bell-shaped flowers make perfect pretty fillers in flower arrangements. Ericas love free-draining soil, so it’s best to grow them in rockeries or in soil mixed with a layer of gravel (or building rubble). They need a sunny area to really thrive. Once planted, they should not be moved as their fibrous roots are easily damaged. They prefer slightly acidic soil, so a helpful tip is to mulch the soil around them with pine needles or used coffee grounds. Wood chip or stone mulch can also be used to conserve moisture. Prune ericas once they have finished flowering to encourage bushy, compact growth. Ericas grow best when closely surrounded by other fynbos plants that function as ground cover.